These are the rules that we use on this website. By continuing to use the site, it is assumed that you are aware of all the rules listed here. For your convenience we have separated them into four sections: Forum, Chatbox, Role-Play, and Account. Many of the rules listed, particularly in the forum section, are site-wide. Some rules may overlap which further emphasises their importance. If you have any questions or concerns, please post in the Maintenance, Support & Suggestions board. Forum Rules: "The Warrior Code"
● RESPECT: You must honour all those around you, even if they are from different Clans. We will not stand for any misbehaviour on this site. ● RULES: Do not double post on the forums or back-seat moderate. Respect all other rules posted, including but not limited to the forumotion Terms of Service, chatbox rules as well as the role-play rules. ● LANGUAGE: No vulgar language is allowed anywhere on this website. Additionally, please refrain from using too much chatspeak. Basic chatspeak such as 'lol' 'rofl' 'brb', etc. are allowed. Friendly competition between Clans is allowed, but please take it no further than that. ● LYING: Do not attempt to gain advantage of any offers that are being made by the site on other sites, eg a crystal bonus for bringing new users to the site. ● ACTIVITY: It is asked that you remain as active as possible on this site. We do not have any law of exactly how many times you must post in order to remain as an active member, however we may contact you if you become too inactive. If you are going on vacation or have big real-life events coming up, we ask that you post in the "Going Away" board, as well as add the information to your signature. Occasionally we have activity checks where we remove those who have not visited the site in a one month period. ● USE COMMON SENSE: Do not make inappropriate jokes or post inappropriate pictures. If you have any questions of whether or not what you want to post is appropriate, please talk to a moderator or administrator. We are happy to help you! ● ART THEFT: Art theft, be it writing or image based, is taken very seriously. Do not steal what doesn't belong to you. If there is permission on the image/text that you may use it, then you must link back to the original source. If not, then you CANNOT use it. ● Do not use vulgar language or make rude comments or post inappropriate links. Swearing is allowed in the chatbox, however cannot be excessive, or directed at another user. ● Stay respectful of other users. ● Avoid attention seeking behaviour. ● Try not to SPAM too much. ● Do not attack other members. Friendly discussions or debates are allowed, but if they get out of hand you will be asked to drop the topic. If you are asked this, please do so. ● Do not beg. This includes asking others multiple times to post for you. ● Do not advertise other role-playing websites. ● Do not bring up player punishments in chat. ● TRAVELLING IN ROLE-PLAY: If you ever leave your Clan camp, you must be going somewhere! Therefore it is required for you to move to the said other thread where you are going, whether to hunt, fish, or patrol. If you're patrolling, you can just pick a certain part of the territory to patrol instead of moving from thread to thread. Additionally, border skirmishes are allowed! ● CHARACTER CREATION: When creating your character, no wings or other accessories are allowed without express written permission. 99.9% of the time, your request will probably be denied. Accessories for your character are able to be purchased in the Crystal Cave. Additionally, before posting in role-play, you are required to create a biography of your character. ● INCLUSION & BEHAVIOUR OUTSIDE OF ROLE-PLAY: Please include all members when you are role-playing. We don't want members to feel left out! Also remember that nothing that happens in role-play is happening in real-life. If a character dislikes yours, that doesn't mean that their user hates you too! ● REALISTIC ROLE-PLAY: Do not god-mod or powerplay. This means that you do NOT control another person's character and cannot post what actions they do. For example, in an "unofficial fight" (meaning you have not contacted a Fight Master in order to have a full-blown "real fight" take place), you cannot say you tackled another wolf. You must say you jumped at them and the other person decides if they get hit. Similarly, in one of these fights, we ask that you even out the hits and misses and at least sustain realistic injuries. If you are interested in having a "real fight" take place between two characters, more information is located in Maintenance, Support, & Suggestions. Additionally, no magical powers, throwing people at rocks, or other actions of that nature. Wolves are not invincible, and try to make the role-play as realistic as possible! ● PROPHECIES: If you want to make a prophecy, please contact an administrator so we can discuss it with our moderators. We may give you permission for it. Do not go off and make a prophecy without discussing it with anyone else. ● CONTENT OF POSTS: Do not include too much blood or gore in your posts, and no graphic romance. Try to make your posts as content filled as possible, with at least 4 full sentences. This does not include rearranging words to say the same thing four different ways. ● WORD CHOICE: Aggressiveness is expected as wolves are in rival Clans. However, no all-out trash talk will be permitted. On a different note, type out every word and do not use chat-speak in role-play posts so people can understand you. ● ACCURACY: It is presumed that you read each post that is made since your previous post before answering the thread. Make sure that you do this in order to keep up to speed with what other user's characters are doing. Additionally, if you're unsure whether a wolf would be able to survive walking through mud, or how old a pup should be to have puppy teeth, feel free to use Google. This is a semi-realistic roleplay, and as such, adult wolves should not be drowning in mud, and six month old dogs will not still have puppy teeth. 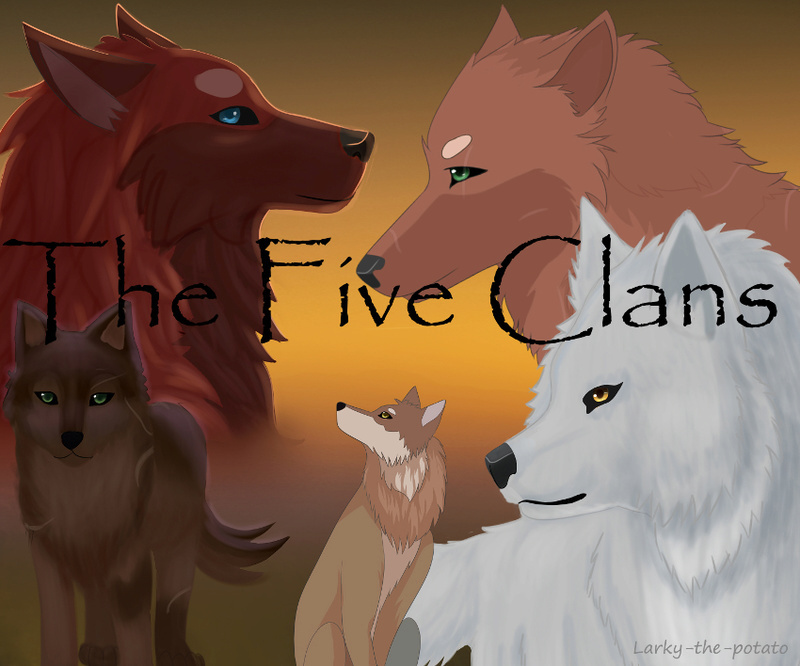 ● AGE: TFC is a 16+ site. If the staff find that you are lying about your age, you will be banned until your 16th birthday - in which case you will be allowed back on site. ● CHARACTER TYPES: House dogs are solely domestic dog breeds, such as german shepherds and Labradors. Loners are wolves and feral dog breed such as dingoes. Wolves are anything under the canid family. ● CHARACTER DEATHS: Before killing off a character, you must roleplay them for a period of at least two months, and make 20 roleplay posts with them. However, if you are killing off characters to downsize; ie are going to resell the slots back to the Crystal Cave and not fill that slot with another character, the post limit is 10 and the roleplay period is 2 months. ● MULTIPLE ACCOUNTS: You must post for a specific character using that character's account. If you do not, then the offending post will get deleted from the thread.